Bring nature indoors with these bright and colorful stainless steel hand-painted floral Jugs that are perfect for outdoor entertaining and are virtually unbreakable. 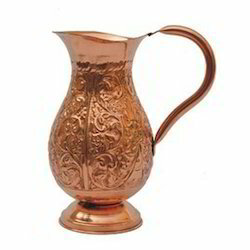 We are the manufacturer and supplier of wide array of Brass Jug Glass Sets for Home Decor. To meet the diverse requirements of customers, we offer these products in various designs and sizes. Capitalizing on the ability of our skilled personnel, we are keenly instrumental in delivering a comprehensive array of Metal Handicraft Jug. 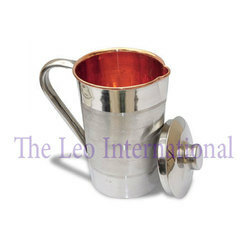 We offers Steel Pitchers to our clients. Fantastically designed pitcher for your use.